ATFX is an international Forex broker, that has been licensed and regulated by FCA since 2017. They are owned and operated by: AT Global Markets UK Ltd, and located at: 32 Cornhill, 1st Floor, London EC3V 3SG United Kingdom. Contact phone number from the United Kingdom is: +44 203 957 7777. Customer support email is: complaints.uk@atfx.com, and the official website site is: https://www.atfx.com/uk/en/. Withdrawal problems and complaints should read this. 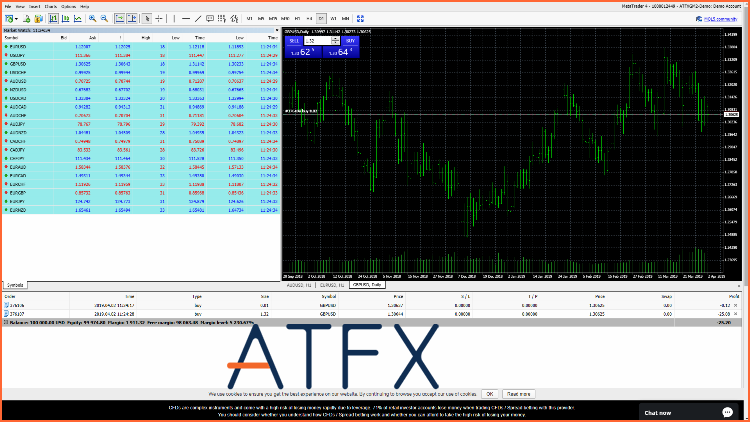 Our review of ATFX shows, that clients are given the classic MT4 (MetaTrader 4) trading platform. You will find the desktop software, along with their Web Trader and mobile apps. They offer a wide variety of assets to trade including; Forex / Currency pairs, Commodities (oil, gold silver), Indices and CFD’s for shares trading. Some of the exotic currency pairs they make available to trade are the Russian Ruble, South African Rand and the Polish Zloty. Commissions start at 1 pip on the EURUSD, and the maximum leverage amount is limited to 30:1 due to ESMA rules. Their website is available in the following languages; English, Spanish, Italian, Dutch and Portuguese. You are allowed to make as many demo trading accounts as you want, so that you can play with your trading strategy. Trading Central is a popular software that many brokers offer their clients. Investors use their trade alerts to come up with new investment ideas. Many stock market investors use a website like StockTwits for trade ideas. There are also many free automated trading robots, but many of them are scams and work with unregulated brokers, read more. The way that Scam Broker Investigator reviews a Forex broker, is by first checking their license and regulatory status. Once you have verified the brokerage firms license, then you know they are a legitimate broker. By investing with a regulated broker, you can feel safe in knowing your money is held in segregated bank accounts. AT Global Markets (UK) Limited is licensed and regulated by the FCA (Financial Conduct Authority). The FCA reference number is 760555, and the company number is 09827091. Always verify that your broker is licensed by your local financial regulator (i.e. FCA United Kingdom). 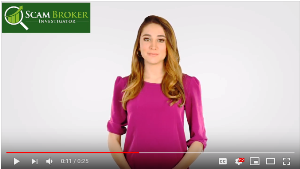 You can read all our reviews of more than 500 online brokers, or you can just try a couple of the popular brokers. ForTrade is a very popular broker, and they are licensed in Australia and the United Kingdom, see here. Besides MT4, they have a nice intuitive web-based trading platform. Learn more at: ForTrade.com. What was your trading experience like with the brokers at ATFX? Please share your personal experience in the comments section below.